Energy-saving decorative board is a new type of wall decoration materials with both insulation and high-grade decorative effect. According to its internal structure, it is divided into three parts: inorganic composite plate layer, structural adhesive layer and XPS insulation layer. Energy-saving decorative board has the following advantages: long durability, self-cleaning function, heavy anti-corrosion function, and it can be made into various colors of high-grade decorative effect at the same time. All our products with CE and Branz international certification. Our products export to Australia, New zealand, Japan, Mongolia, Vietnam, UAE and so on. We are good at loading containers to protect goods and save freight cost for customers. 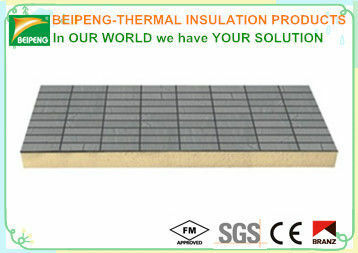 We have 15 years producing experience of insulation materials. Our company is 30, 000 m2, we have a capacity 10,000m3 warehouse. Standard products can be delivery in 3 days. Beijing BEIPENG New Building Materials Co., Ltd established in 2000, which is a globally integrated company supply specially insulation board an application knowledge with an annual capacity of 12000,000 cubic meters. In 2014, the total turnover volume of BEIPENG exceeds US$94 million dollars with a total staff of 450. In 2010, four production lines of XPS insulation board introduced from Germany Berstoff. And then another two production lines of PU foam thermal insulation materials introduced from Italy OMS group in 2012. 1. We're the largest manufacturer and leader of this industry in China. 2. Various styles for you to choose. 3. High and stable quality with competitive price. 5. Sample order or smaller quantity will be appreciated. 6. Best service will be offered to our clients.